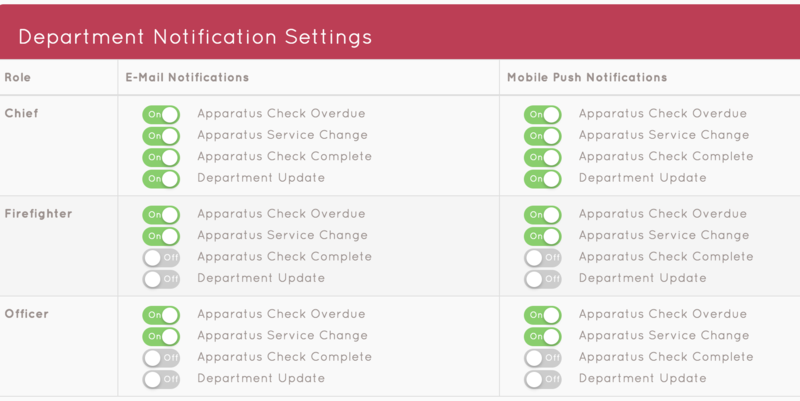 Summary: Department notification settings allows you to establish default notification settings by user role. Using the feature: To access the feature, open the Department tab and click Notifications. From the Role Notifications Page, you will see a list of roles and their corresponding notification settings. Simply click the toggles to change the default settings for each role.